As most of you know our logo is a large circle with our name and a graphic of a pour over. In the next few posts, I want to take some time and explain why we loved this graphic so much, what it means for us as we look at it and how it helps us make valuable decisions. (Credit to my brother in law – Matthew Constance – for creating this logo). The obvious place to start is the circle. Within it contains the name and graphic we love so much. But the circle itself is so important. People use the circle in terms of various life experiences and circumstances. Sayings like “I am running in circles” means you are spending energy going nowhere. Big philosophical sayings like “Life is a circle. The end of one journey is the beginning of the next” moves one to think more that just here and now. Chances are you are seeing circles everywhere you look because THEY ARE! Round about’s (especially in Hilliard), Icons on the bottom of a screen, wheels, bottles, bowls, cooking pans, and the list goes on! They are everywhere and most go unseen or noticed. So how can the circle play such an important part of someones life? Mike Breen says that people have a start and an end – like a straight line. As you walk this line of life, every once in a while you get a significant moment that forces you to pause and think or evaluate your life. He calls these events “Kairos” moments. A death in the family, first child’s birth, job openings or closings, world disaster, etc. These moments are key to helping you develop better as a human being. They are not to be passed up, but to be taken with a great deal of respect and focus. It is these moments that shape you! As you enter this “circle” you go through phases in which the evaluation to change and be different takes place. This change isn’t suppose to be a “lone ranger” action. It is supposed to be and designed to be done in community. When done correctly and over time, you come around and your life changes for the better (or the worse- pending on what you decide to do). The circle is a great image of change taking place so you can continue on your journey in life. 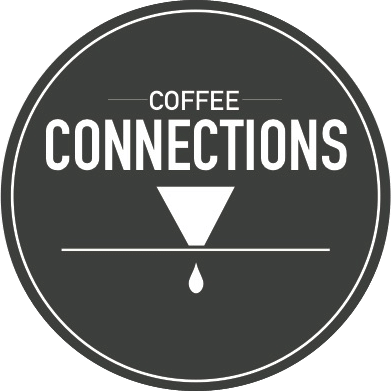 Coffee Connections was started with the knowledge and experience that people go through things all the time! Some good and some bad. We know life in community is better because it is there where you feel safe, feel challenged and feel not alone. If a place existed where anybody can come and invite others into their life of change, we want to be that place! The circle for us speaks unity. It speaks friendship. It speaks hope. To everyone. What is great about this concept is that ANYONE CAN DO IT! You don’t need a shop or a large community to be there from someone in their life changes. You can do it at your home, at work or at the various places you connect with other people. The circle, like this, seem simple yet is truly intentional and purposeful. It can be done and chances are you have everything you need to be part of it! Coffee Connections wants to be that third place, that safe space, that hope for not only you but also for those you are doing life with. ← Year One in the books!